The Gaming Journalist Gazette is a blog that discusses topics related to the Video Game Industry. Whether you want to talk about game writing, game mechanics, game reviews, game history, etc. you are welcome to stop by this blog! Paul Jensen is the owner of Shark Puppet Media and Editor In Chief for SharkPuppet.com. Steven Brasely is the site's Gaming Editor and writes The Minus World, a weekly column covering the Video Game Industry. 1) How did the forming of SharkPuppet.com come about? How did interest in video games help make SharkPuppet.com possible? Paul Jensen: SharkPuppet.com was initially built as an extension of our YouTube video channel. My original goal for the website was simply to have a place to host our videos, which were a mix of video game-based comedy and Japanese anime reviews. I started writing some short articles in order to give the site a bit more content, and it quickly became apparent that the written content was generating far more traffic than the videos. That shifted our focus away from video work, and the site has slowly expanded to cover new areas of interest. Gaming has always been a part of Shark Puppet; the first thing we made as a company was a video of me trying to play Halo 4 while a friend shot me with Nerf guns. It's a passion that many of the folks who've been involved with the site share, and will likely remain at the heart of our activities for the foreseeable future. 2) Shark Puppet features The Minus World, a column dedicated to video game topics. How do video game discussions help Shark Puppet? Paul: The Minus World has been our most popular column since it first started, and most of our site's visitors on any given day come for our gaming content. On a surface level, then, talking about video games has been our most successful method of getting people to check us out. Beyond that, I think gaming makes a great springboard for some of the other hobbies we cover. Folks who read and enjoy one of Steven's columns will be encouraged to check out the rest of the site and explore some of our TV and anime content. Steven Brasely: The Video Game Industry continues to grow rapidly, this means there are tons of new possibilities popping up each day hut also lots of risk. There is a lot of competition, in both game design and game journalism (game journalism, I feel, is even more of an over saturated market than design itself), however the silver lining is there are plenty of avenues people can try out in order to become successful (funding a game through Kickstarter, sharing news stories across many social media platforms). Paul: I agree with Steven on this one. There's no end of interesting and controversial topics to discuss when it comes to video games. The hard part is finding a way to get people to listen to your opinion in particular! Steven: People who play games naturally all have different tastes, and I'd say every critic would have a different answer to this question. For me, I particularly enjoy a game with a good story (especially if the game is a first-person shooter), so I like to focus on the strength of the writing and the voice acting, character development and overall design of a game's setting, all of which are needed to make a compelling story. Other elements I try to touch upon are gameplay (does it feel good, or are the controls horrendous? ), as well as audio/music, graphics, and multiplayer if applicable. Paul: One of the dangers in reviewing a video game is that the reviewer can focus too much on objectively analyzing a game's various aspects and forget to ask if the game itself is fun to play. Some of my favorite games have had technical flaws or been behind the times in the graphics department, but that didn't stop them from being enjoyable. 5) What are your thoughts on game reviewers and critics? What do you think they could be doing better? Steven: Game critics need to be more cynical. The Game Journalism Industry has had a problem for a number of years where critics are too soft on a game out of fear that they will ruin the relationships their companies make with game developers (see the controversial firing of Jeff Gerstmann from Gamespot in 2007 for his Kane and Lynch review). This can be fixed with more critics working independently, or working for companies that follow the practice of independence, such as The Escapist of Destructoid, though sadly all publications becoming independent will likely never happen. Sites like IGN live off of ad revenue, so they'll keep pumping out 8/10 and 9/10 reviews if it means keeping their sponsors happy. Paul: I think one of the inherent problems of professional reviews is that the writers are typically seasoned gamers. Many games, especially in the FPS and RPG genres, have grown so feature-rich that they're practically impossible to understand unless you're accustomed to the conventions of the genre. Too many reviews forgot to take a look at how accessible the game is, or dismiss steep learning curves as though they aren't a problem. It makes sense for experienced gamers to write reviews, but we risk making both the games and the reviews irrelevant for newcomers to the hobby. 6) For The Minus World column, what kind of content would Shark Puppet like to put out as far as entertainment is concerned? Steven: For the column, I like to do a few things: mostly editorials, but every now and again I'll do a game review or a fun countdown list. Once I even tried getting a but surreal, writing about a "video game cult" I encountered at IndieCade in L.A. last year. I am interested in producing more video content relevant to the column, but first I need to both get a huge external hard drive to help me with video editing and also come up with a neat video series that I would feel happy committing to. To be successful on YouTube today, you need a video series that is unique that will grab people's attention. Often I find myself thinking of a cool idea then saying, "Oh, wait. That's been done before." Paul: I'd also like to get back into video content, but Steven's absolutely right. Not only is it difficult to stand out from the crowd, it's a huge increase in terms of workload. One of the reasons I moved my anime reviews and editorials to a written format was that the videos simply weren't worth the extra effort. That being said, it's something I'd like to get back into at some point, even if it simply means augmenting our written content with short video pieces. Pit Box One, my racing game column, is currently on hiatus while I look for a way to make it more interesting, so that may end up as a testing ground for new videos. 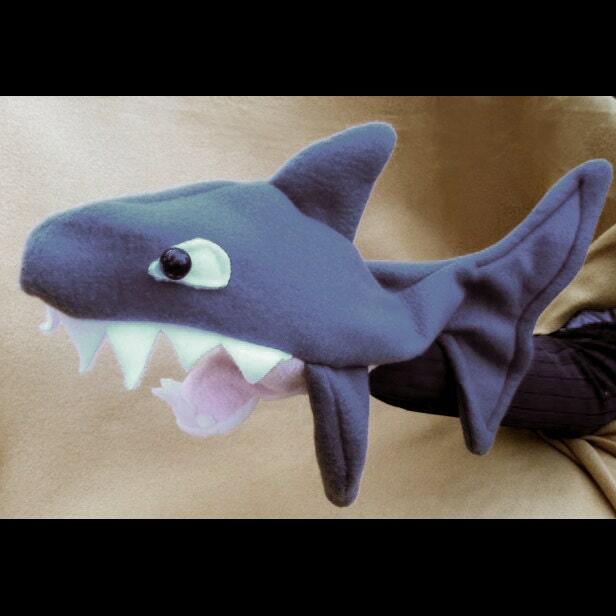 7) Who in the Video Game Industry would Shark Puppet love to interact with? Steven: Oooh goodness, well for starters there are tons of great indie game developers I'd love to get in touch with. People like Davey Wreden (The Stanley Parable) and Edmund McMillen (Super Meat Boy, The Binding of Isaac). Indie developers are fun to talk to, incredibly intelligent and talented, and they're always happy to discuss their latest projects with game journalists. We have also interacted with Mega64 (YouTube video game comedy group) a few times. I covered their fan meet-up at Disneyland last year and also gave them a shout-out in my PAX East piece, which they retweeted to their followers. Paul: I'm actually gonna go the other way a bit and call out some major developers, especially Bungie (Halo, Destiny) and Turn 10 (Forza Motorsport). I've sunk countless hours into their games, and would love to see some of the work that goes into making an A-list title. From a business standpoint, I think we could also learn a lot from the folks at Rooster Teeth in terms of making a career out of gaming videos. 8) What is important about game writing, in your opinion? Steven: For game journalism, it is easy for people to jump in and put humor and entertainment value before everything else. As someone who just completed a formal education in journalism, I say stick to the basics first. Always spell-check (I'm guilty of not doing that from time to time), always fact-check to make sure you're putting the correct information out there, even if it's something as simple as what systems a game came out for, or release dates. Paul: Steven says that, but he's actually a very easy guy to edit for when it comes to typos. As the guy who does the final checks before articles hit the site, I've been spoiled by a very professional group of writers! As far as writing for games themselves, I think the guidelines from other forms of fiction apply quite well. If the plot makes sense, the characters are compelling, and the work as a whole asks an interesting question or two, I'm happy. Did you know that you can create short links with Shortest and receive money for every visitor to your shortened links.